Showcards Cards are highly effective POS products. Nothing catches the eye like a confident strut. Make your strut card the center of attention with our visually striking designs. 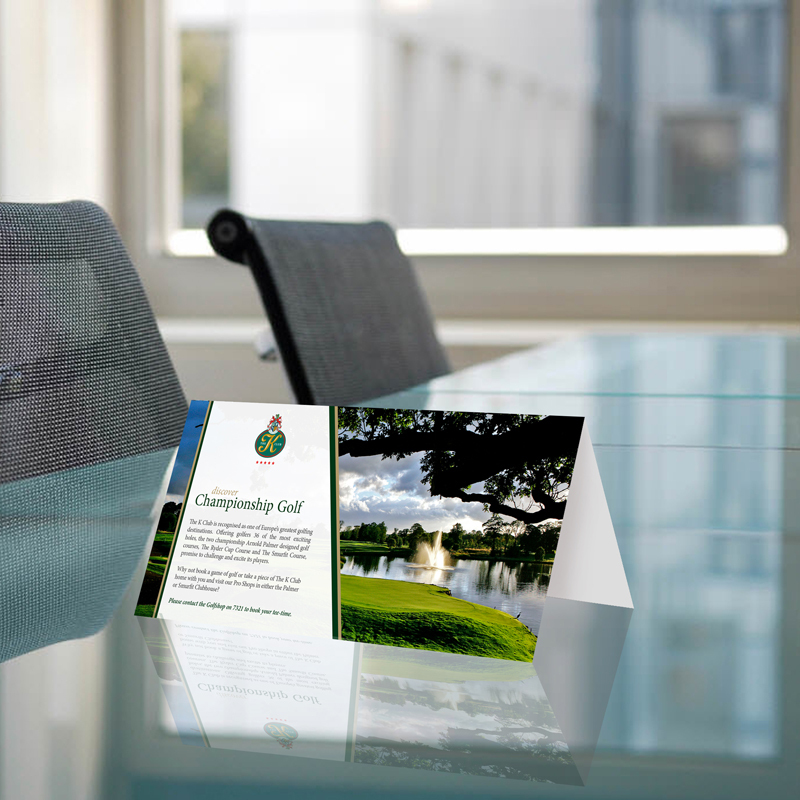 We will print your chosen design on sleek gloss paper and mount it on 2mm card to give you an attention-grabbing marketing tool that will stand up to scrutiny. Affordable and remarkably effective, our strut cards send out exactly the right message for your company. Add matt lamination for an even more professional finish.Why not add a perspex flyer or business card holder to the front of each stand. The ultimate call to action for prospective new clients.